Tether enables businesses – including exchanges, wallets, payment processors, financial services and ATMs – to easily use fiat-backed tokens on blockchains. By leveraging Blockchain technology, Tether allows you to store, send and receive digital tokens person-to-person, globally, instantly, and securely for a fraction of the cost of alternatives. Tether’s platform is built to be fully transparent at all times. Add a stable digital currency solution to your business by integrating with Tether . We are pleased to be able to confirm that Tether has an account with Deltec Bank & Trust Limited . 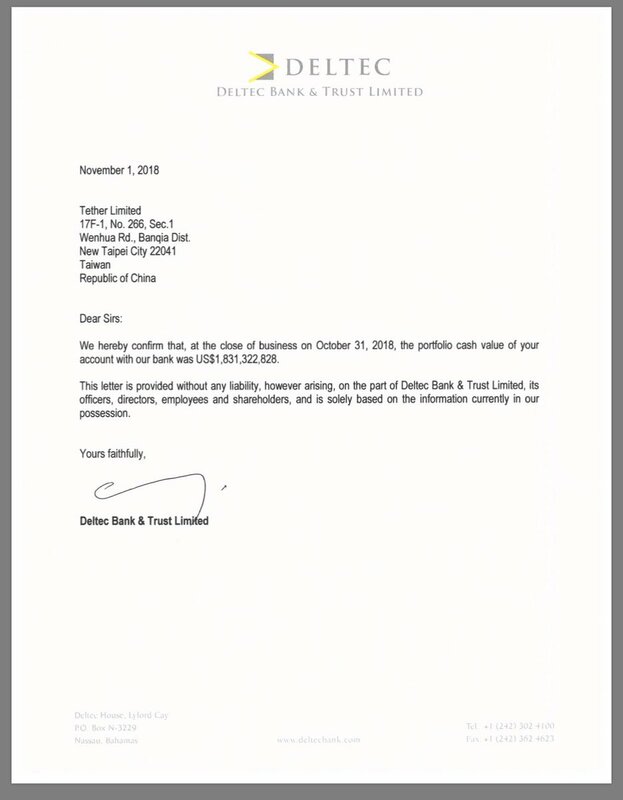 Balance confirmation at 2018-10-31 attached.ltec Bank & Trust Limited - https://tether.to/tether-banking-rel...hip-announced/ . On February 26 Tether updated its ToS, which was directly communicated to customers on the same day and required active opt in. Tethers remain completely stable and 100% backed, because Tether’s reserves always equal or exceed the number of issued Tethers. 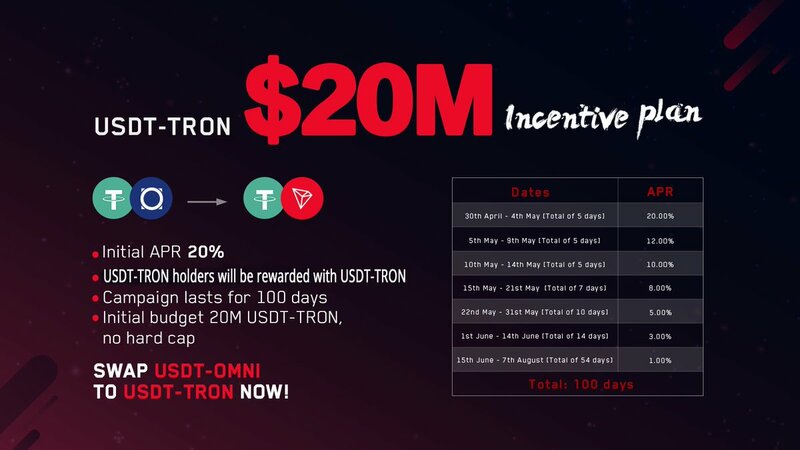 USDT-TRON to earn initial 20% APR in USDT-TRON. 100 day campaign. $20M initial budget no hard cap.